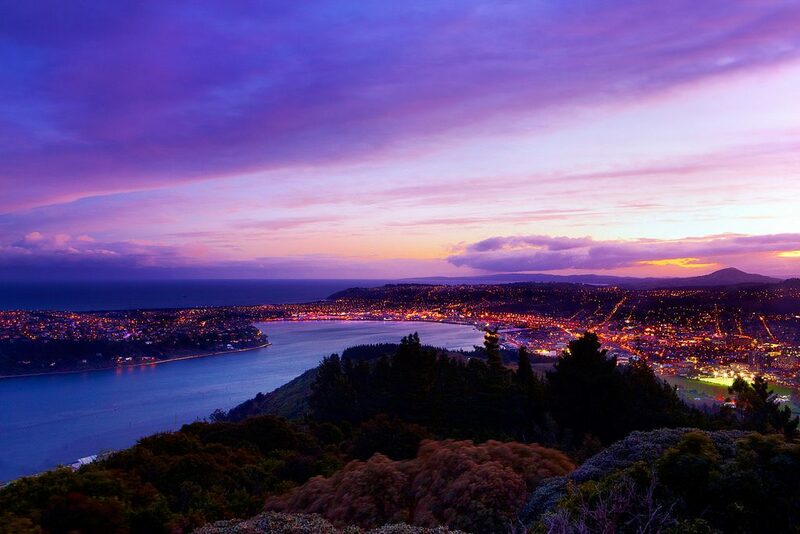 First home buyers have been very active in the market in recent months, but investors have also been keen to buy – despite the sense that the average Dunedin rental property might require more cash to bring it up to insulation standards than houses elsewhere in New Zealand. 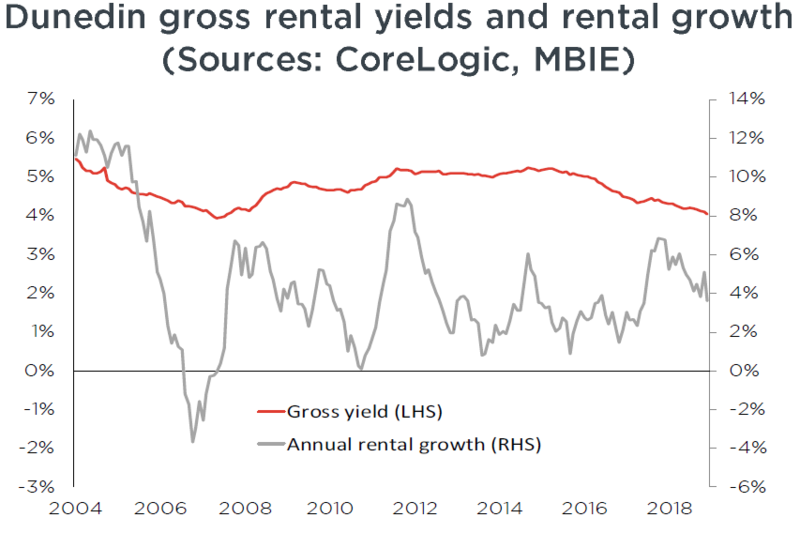 The lower starting point for values in Dunedin and higher gross rental yields are obviously outweighing any of those concerns. 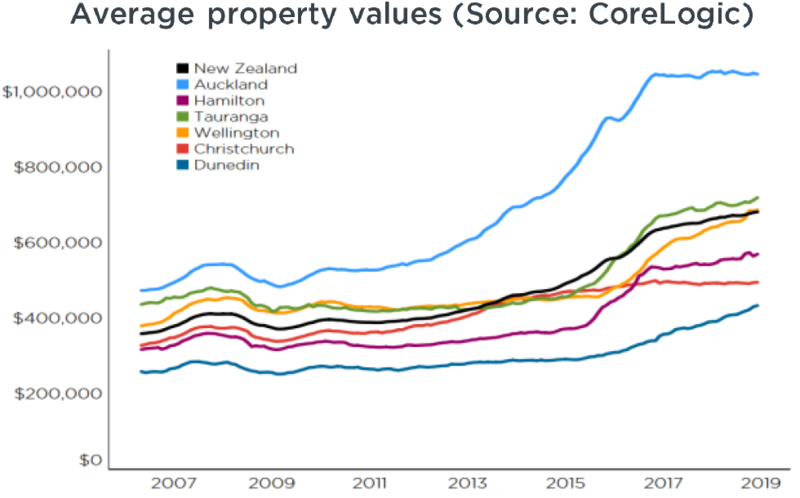 Dunedin’s property market had another strong year in 2018, with average values up by 11.2%. In the past four years, they’ve risen by 48.8% – that’s an increase of $142,683, from $292,220 to $434,903 (see the first chart). So, what’s going on in our southern-most main centre? On the supply side of the market, things are also tight. 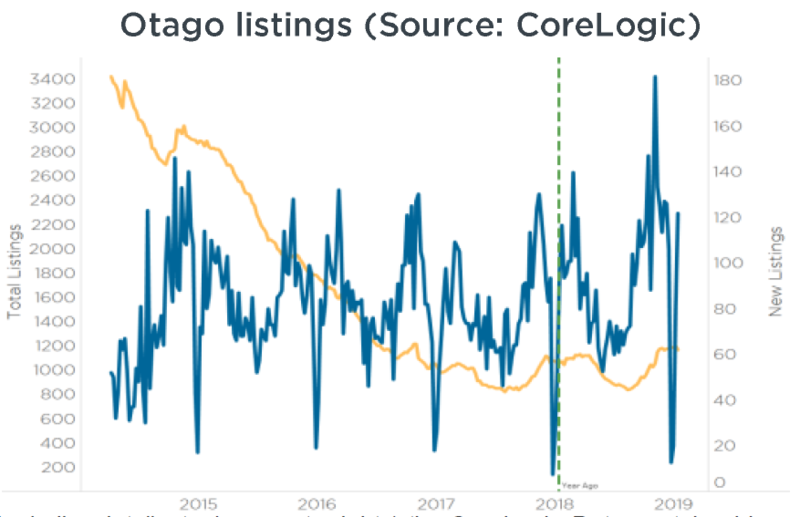 As the fourth chart shows, total listings (yellow line) across the wider Otago region are at low levels, with Dunedin likely to be the same – and a restricted number of properties available to buy will be helping to push up values. All in all, with demand strong and listings low, average property values in Dunedin look set to continue to rise this year. 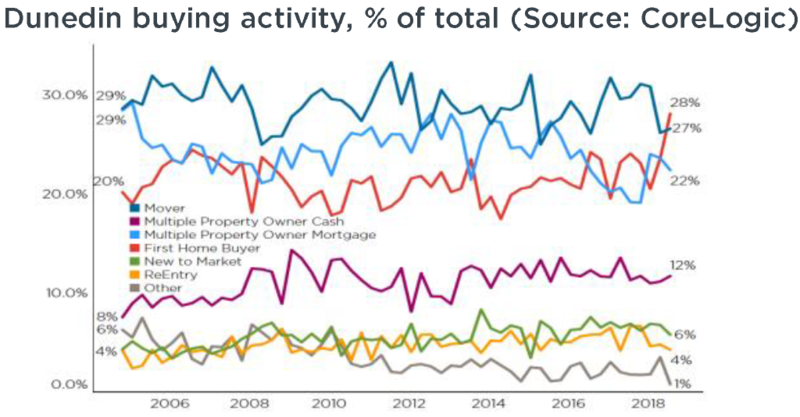 Granted, the longer and higher values rise, the more likely it is that current owners who have been watching the market will take the plunge and look to “cash in” – at which point, the associated rise in listings would subsequently take some of the steam out of price gains. However, for 2019 at least, this possible effect doesn’t seem likely to be a game-changer for Dunedin and it’s set for another strong run.